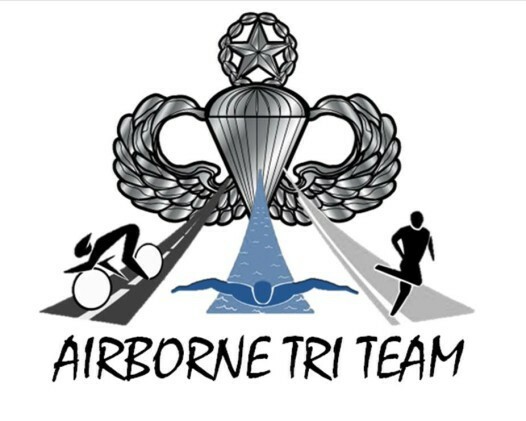 Rachel K Fredericks is a new member of Airborne Tri-team. Raised in Troy, New York she joined the United States Marine Corps at only age 17, to fight for her country in the war on terror. Rachel was stationed on a Naval Air Base in Meridian Mississippi after her Basic Training and job school. She became a part of the small Marine Aviation Training support squadron 1. After two years in the aviation school, teaching fellow young Marines about aviation operations, she incurred a life changing injury. Rachel took a bad fall from an obstacle course which was over twenty feet off of the ground. She hit her head and was knocked unconscious. She tumbled to the ground and landed in a split like position. The fall ended up fracturing both of her hips and two of her vertebrae. The muscles and ligaments in her groin and hips were torn from the bone. She soon underwent multiple surgeries to repair the damage to her hips. After 9 months of rigorous therapy and pushing herself she was given a form stating she wouldn’t be fit for duty anytime in the foreseeable future. Rachel was crushed as she had planned to make a career of her service to our country. At only age 20, Rachel was honorably medically discharged and sent back home. When she returned she completed her associates degree in criminal justice at Hudson Valley Community College. She did so in under two years and next went on to earn her bachelors of science in criminal justice. She had done so well on her associated degree she was placed in an accelerated program at SUNY Plattsburgh. Within 18 months she was able to earn her bachelors degree with honors. After college Rachel did not know what she would do, as she was unable to work with her physical and mental disabilities. She began volunteering and getting involved with several veteran organizations. She became a member of the Disabled American Veterans in 2012, while still earning her degree. Once college concluded she jumped into an officer position as the sergeant at arms for her local Troy chapter 38 of the DAV. Within two years she ended up earning the title of District Chairwoman, in charge of 11 counties in upstate New York. In 2014 she went up to the state line of officers, she was selected for 2015-2016 as a Jr. Vice Commander of New York State Department. She next became adjutant of her local chapter, where she enjoys helping other veterans through the claim process to receive their earned benefits. She also became quite involved with her local detachment of the Marine Corps League. As well as a striving member at her local veterans club. She struggled with physical fitness with having so many limitations. Rachel was lucky enough to meet the angel bikes founder. She learned she would have a hand powered bicycle built for her that she would be able to ride. She received her bike at the end of 2014. She was not able to ride well for the first year or so. After trying and trying she started getting the hang of it. She began to race in local races like the turkey trot in her town. She went on to do a soldier ride with Wounded Warrior Project where she got to ride over 40 miles in two days through Birmingham, Alabama. Soon she came to Long Island where she competed in the Hope For Warriors Run for the Warriors 10k. She did amazing and even met team members from the Airborne Tri Team. She was honored to receive a cycling jersey with their team logo. During 2015 Rachel spent her days as the event coordinator for the toys for tots campaign where she was considered a great asset and even earned a certificate of congressional recognition. Now 25 years old Rachel is ambitious to compete more and she even wants to attempt a triathlon. Her disabilities effect her daily but she says hand cycling gives her, her freedom back. Rachel reached back out to her friends at Airborne Tri Team team in attempt to be able to compete more and become an active member of the team. 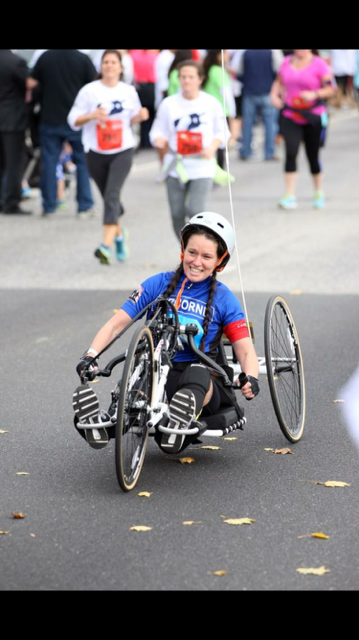 She is now training to complete a half marathon this coming fall where she will be riding her hand cycle beside her new friends at Airborne Tri Team. With her physical and financial limitations as well as living upstate Rachel is not able to be as active with the team as she would like, she says she will work as hard as she can to be with the team and compete in anything she can. Do you have some free time and a desire to help veterans? If so, please use the Contact Us form and send us a message detailing your interest and availability!